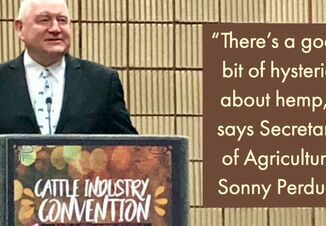 On Wednesday, the Senate approved its version of the 2018 Farm Bill. The House is working to get its farm bill on track after some members of the GOP withheld their vote to push for immigration reform. Senate Majority Leader Mitch McConnell (R-Ky.) is hoping the entire farm bill will be voted on before its July 4 recess. If a House vote is soon made it “would give us a chance to get into conference and actually make a law,” said McConnell. According to Farm Journal Washington D.C. correspondent Jim Weisemeyer, House Republicans will vote sometime next week. “What happened was our members got together, spoke with one another and compromised with each other so we could find a way forward without exercising a discharge petition, which would mean we would never make law,” said Speaker of the House Paul Ryan (R-Wisc.). The House will vote on two competing immigration bills: one from Rep. Bob Goodlatte (R-Va.) which includes changes to the H2-A guest worker program, and the other is more of a compromise. According to NPR, it’s uncertain if either bill will have enough support to pass the House.